Natural, cruelty-free, vegan, 100% active ingredients, free of chemical additives and organic. This is what you would get in these jars. Don’t they all sound heavenly? After deliberating for a long time (a couple of months! ), I finally placed an order for the Organic Hemp Moisturiser. It was almost a random choice, actually. I had to end the indecision at some point! So, no, this product was not sent to me for review consideration. It was simply purchased with my own money and I’m writing this article on my own initiative. The package did however come with a sample of a second cream that I will review soon. Now, let’s first meet Boris. Boris is the one and only force behind MuLondon which, as the name suggests, is London-based. He officially started MuLondon in 2008 but actually, he’d had a great interest in natural and organic ingredients and products for many years already. He’s a vegan and has always embraced alternative and holistic therapy. He spent time at the Rudolph Steiner Centre in Sweden which became a huge turning point for him. There, he learnt about organic and biodynamic gardening, and using those wholesome produce in cooking. While living in Sweden, he had really dry skin. In his effort to find a natural solution for that, he developed a deep interest in ingredients and began poring over books to learn more. All that research and testing bore fruit finally in the form of self-made natural products for the skin. At first, it was only for himself and his family and friends, but two years ago, he decided to make them available to the wider public with the establishment of MuLondon. Research has shown that Shea is effective in treating and alleviating the symptoms of dry and sensitive skin, eczema and psoriasis. It is naturally moisturising and readily absorbed by the skin. Increases the overall health of the skin, particularly its elasticity and strengthens the epidermis. Except for the Hemp Essential Oil (a rare and exclusive essential oil) and the Black Spruce Essential Oil, all are certified organic ingredients. I don’t think I have ever tried a skin product with hemp (a herb with so much goodness) before, so it was an interesting discovery for me when I first opened the jar. It has a masculine scent: green, earthy and woody. Because it has not been diluted with water, the cream is super-concentrated and extremely thick in texture. I received my jar back in the cold month of December and the cream was solid! It was as solid as butter that has been kept in the fridge. The advice given was to best apply the cream after a bath or shower, when the skin is still moist. For quite a while, my lack of experience with a cream this thick was an issue. Because it was solid, I had trouble getting the cream out of the jar. And when I got some out, I had difficulty spreading it evenly on my skin. And so, after some hesitation and swallowing my pride, I wrote to Boris for advice. The solution was simple of course (Duh! ), and Boris has now included this bit of ‘instruction’ on his website. This is what I now do after a shower: I get a pea-sized amount of cream and place it on my palm. I rub the cream between the palm and my fingers. The cream will melt and look like melted butter. I then pat the melted cream onto the required parts of the body and massage. The process may take slightly longer than what you’re used to with commercially produced body creams, but trust me, it’s worth the effort. Because it’s highly concentrated, it should be used sparingly. For me, a pea-sized amount is enough to moisturise both legs, for example. You’ll learn as you go along. You only need to apply a thin layer on the skin and from my experience, the oils are absorbed into the skin in about five minutes. Boris says that if the skin feels greasy after application, then you’d know that you’ve applied too much. The cream can be applied anywhere on the face and body and even on the lips. I use this cream on the body, mainly the arms and legs. I absolutely love how soft and moisturised my skin is from using this cream. 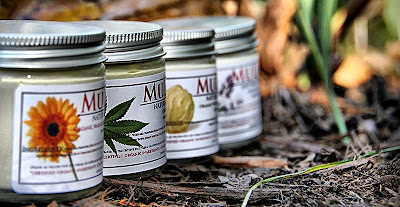 The creams are available primarily through the MuLondon website and on Etsy. It does offer international shipping at reasonable rates. As an indication, for one jar, shipping is £2.50 to Europe and £3.00 to other parts of the world. Do check the website by using the shopping cart for specifics (no registration is necessary, by the way). I personally fill every jar with my hand-made cream, I put the label on and I sign the note that comes with every parcel that I send out. I want to give first-class, personal service. Do you know what that’s called, ladies? Here's my subsequent post on its Organic Rose Moisturiser. More information can also found on the MuLondon website. Passion indeed. This sounds like a really fab company and product! this stuff sounds so nice! I'd love to try it. I think I'll do my own google search. Mmmm, definitely going to have a look at the website. Does it smell like the Body Shop's Hemp handcreme? I just LOVE the texture of it. Take that dry skin!! I always like to look into details of any skin care or make up range, also like to invest into those in particular, that are made with pure & natural ingredients, sourced ethically and are of organic origin. 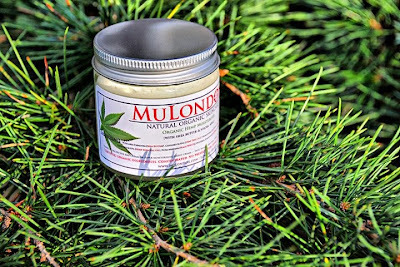 MuLondon seems to be ticking all the boxes for me when it comes to pampering the skin with hand made products that are sure to balance and nourish your skin with their list of powerful natural ingredients! INteresting, I've never tried organic moisturizers ! Customer service is very important. The flavors sound delicious. Wow what dedicated service! And I really support cruelty free products! You are such a beauty addict! You always find the most quirky beauty products to share with everyone! I've only had one experience with hemp before.. and that was with a lipbalm that was vanilla and hemp flavoured.. yuck never again lol. Wow this is a very detailed great review. I'm in awe with Boris, you are right he has PASSION for his product, really impressive. ^_^ The packaging is simple yet cute, the white chocolate truffle moisturizer sounds interesting, I'll watch out for your Organic Rose Moisturizer review . indeed that's passion. i love stuff with shea butter in it, so moisturising! Your review was so interesting!!! You give us lots of information about the brand and also about the moisturiser that you bought. I'm so glad you enjoyed reading this review and about MuLondon's background. I'm with you on the White Chocolate Truffle Moisturiser too, btw! Well, do give MuLondon a try. Great customer service is hard to come by these days, in my opinion.